What Car?’s True MPG testing has revealed that new official fuel economy tests introduced late last year are providing more accurate results than ever before – with some cars even beating the official figures in the real world. However, What Car?’s True MPG figures show that the average gap between the official claimed fuel economy and its own real-world figures remains close to 5%. While that is far better than the 23.5% average shortfall for cars tested before the new regulations came into effect – with the worst result ever recorded being a 41% difference* – it highlights the fact that consumers should remain wary of taking official figures for granted. What Car? compared the real-world economy figures achieved under its True MPG real-world test against official recorded figures recorded using the new, tougher-than-ever WLTP tests. In a 15-vehicle sample that ranged from small hatchbacks to SUVs, petrols to diesels and automatic to manual gearboxes, What Car? found the manufacturer quoted economy figures were, on average, 4.9%, or 2.6mpg, higher than its testers achieved. However, in some instances, What Car? found its real-world fuel economy results actually bettered the figures quoted by manufacturers using the WLTP guidelines. The Mazda MX-5 2.0 184, Nissan Qashqai Tekna 1.3 140 and Skoda Karoq 1.5 TSI 150 were all more economical under real-world tests conditions than under the official figures – with the Mazda MX-5 bettering its 40.9mpg figure by 10.3%. Other models, including the Audi Q3 35 TFSI and VW Polo TSI 95 matched their WLTP figures, but some such as the Volvo V60 D4 and Ford Fiesta EcoBoost 140, were still more than 20% down on their WLTP figures. What Car? tested a separate 15-car True MPG sample against results gathered on the older and less accurate New European Driving Cycle (NEDC) tests, but found none exceeded official figures under real-world conditions. 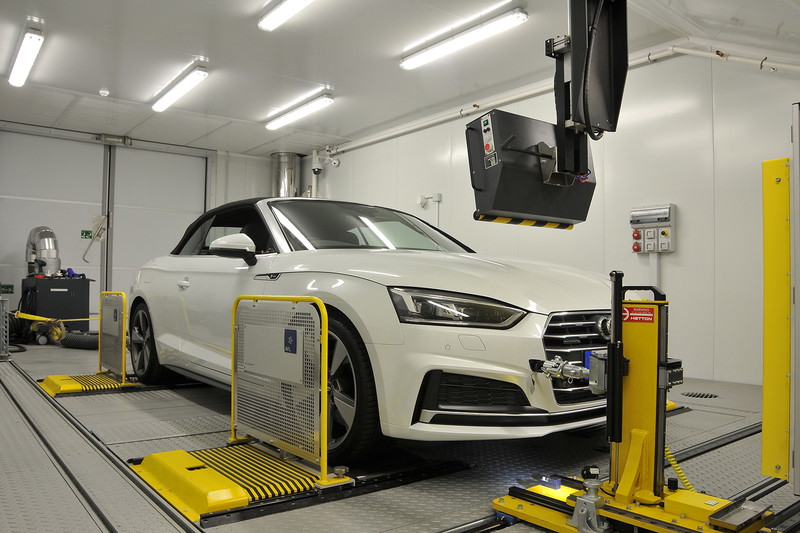 The Worldwide Harmonised Test Vehicle Procedure (WLTP) was introduced by the European Union in September 2017 to assess new vehicle emissions and fuel economy more accurately. The WLTP protocol replaced the NEDC type approval process that dated back to the 1970s and which was criticised for resulting in unrealistic economy claims**. The WLTP test features a longer assessment of each car, higher vehicle speeds and a dynamic test cycle that’s more reflective of real-world driving. Since September 2018, the tougher WLTP test has been applied to all new cars on sale. “However, while it’s heartening to see some cars actually beating their official figures, we mustn’t lose sight of the fact the gap between official figures and our real-world tests remains, on average, at almost 5%. What Car?’s True MPG real-world fuel economy figures show the efficiency drivers can really expect from their car. Tests are conducted in a laboratory to ensure repeatability within 1%, but are based on a real-world route that takes in town, rural and motorway driving. The results reflect what's achievable for motorists driving gently and sticking to speed limits, but who aren’t resorting to any unrealistically slow acceleration or special 'hypermiling' techniques. As such, What Car?’s testers believe True MPG gives drivers the most realistic estimate of what their vehicle is likely to achieve on the road. *The NEDC combined economy for the 2016 Toyota Prius 1.8 VVTi Excel is 85.6mpg, but under What Car?’s True MPG the model achieved just 50.5mpg – a 41.0% difference. What Car?, the UK’s leading and most trusted car buying brand, has the magazine, a market-leading website and several established brand extensions. It has helped Britain’s car buyers to make purchasing decisions for more than 40 years and its tests are widely regarded as the most trusted source of new car advice. Whatcar.com is the UK’s leading car buying website, offering trusted reviews and data on every new car. A winner of numerous awards and accolades, whatcar.com is recognised as one of the UK’s leading consumer websites and attracts 1.7m unique users every month and over 13m monthly page impressions. The brand has seen major investment in its digital infrastructure as it develops a new ecommerce platform, allowing users to act on the trusted advice What Car? offers. With a print circulation of 55,459, combined with its mobile and social reach, What Car? has more than 5.5 million monthly points of contact with its audience on the move, at work, at home and at the crucial point of sale. It is the top performing monthly on the UK newsstand in the motoring category. Natasha Perry or Sam Wilkinson at Performance Communications on 0208 541 3434. This press release was distributed by ResponseSource Press Release Wire on behalf of Performance Communications in the following categories: Motoring, Manufacturing, Engineering & Energy, Transport & Logistics, for more information visit https://pressreleasewire.responsesource.com/about.